Description: 2 speed and 3 heat settings Ultra efficient performance. Lightw..
Professional hair dryer with technology for fantastic results. Features Powerful 2000.. Features: 2000 Watts 3 temperature/2 speed settings Ioni.. 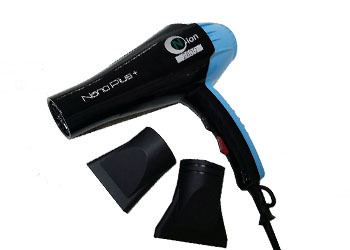 Description: - 2200 watt strong power hair dryer,dry your hair quickly. - Ionic function,keep.. Description: V&G Professional Ionic hair dryer is the ideal basic hair dryer for quicker .. Description: Precision ground, high carbon steel blades for optimal cutting performance a.. Features: 4 temperature/2 speed settings Anatomic handle Easy to cle..